-Gallagher and the No. 23 team will utilize chassis no. 220. 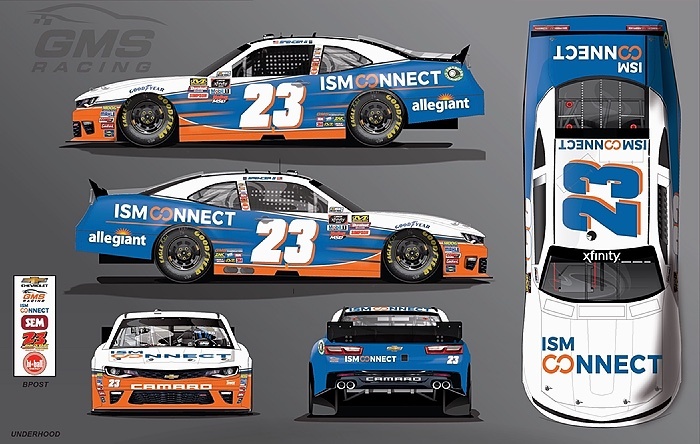 This chassis has been raced three times this season at New Hampshire Motor Speedway by Johnny Sauter (start:12th/finish:19th), at Bristol Motor Speedway by Chase Elliott (start:15th/finish:8th) and at Richmond Raceway by Spencer Gallagher (start:16th /finish:12th).